According to Indian Cabinet, government gave the go-ahead for the establishment of the new BRICS $100 billion development bank. 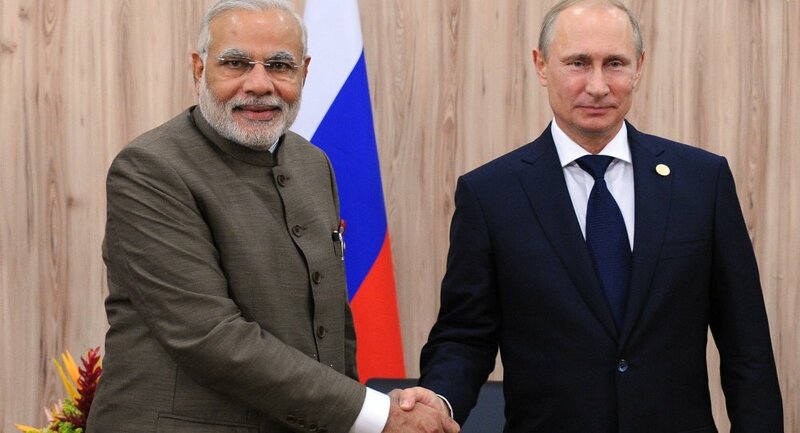 MOSCOW (Sputnik) – The Indian government gave the go-ahead for the establishment of the new BRICS $100 billion development bank, following a similar decision by the Russian Parliament, the Indian Cabinet said in an official statement. The proposal was approved on Wednesday, at a Cabinet meeting, chaired by Indian Prime Minister Narendra Modi. "The establishment of the Bank will help India and other signatory countries to raise and avail resources for their infrastructure and sustainable development projects," the statement read. The government stressed that the Bank's establishment reflects the close relations among the BRICS countries, while providing a powerful instrument for increasing their economic cooperation. The State Duma, Russia's lower house of parliament, implemented the agreement on February 20. The agreement on the creation of the New Development Bank (NDB) was signed on July, 15, 2014 in Fortaleza, Brazil by BRICS members – Brazil, Russia, India, China and South Africa during a BRICS summit. The Bank's aim is to support infrastructure projects and embrace sustainable development in the BRICS and other countries with developing economies. The Bank's headquarters will be located in Shanghai. BRICS members agreed that the initial capital would be $50 billion, while in the future it could be increased to $100 billion. The initial capital is to be equally distributed among the founding members. The first board meeting is supposed to take place in April in the Russian city of Ufa. According to the Russian Finance Ministry, the Bank is expected to start operating by the end of 2015. The BRICS group of prominent emerging economies was established in 2010, when South Africa joined Brazil, Russia, India and China in what was previously known as BRIC.